CULTCAST001 - Capture the Music | Joomla! Culture Assault Records is an independent net label focused on promoting various types of music which is innovative, pushing the boundaries and breaking rules of music as we know it. Here is our first podcast to show you what we've got. On the mic: mastermind Shem (PL). 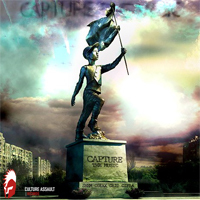 Culture Assault Records presents CAPTURE THE MUSIC the PODCAST001!